The desire to meet neighbors and explore together isn't limited to a single city. That's why Chattanooga Design Studio has adapted PhotoScouting for Chattanooga, TN. Together with the neighborhoods of Orchard Knob and East Lake, we will be organizing photowalks for publication in a Neighborhood Edition that reflects the unique spirit, history, and values of each area. Join us for an upcoming walk to see your neighborhood in a new light or to explore an unfamiliar area, learning from residents as we go! East Lake was founded in 1902. Oxley Zoo, the City's first zoo, was housed at the East Lake Park. The park is bordered by a natural fed spring known as the East Lake Duck Pond. Our neighborhood started out as a Chattanooga suburb with housing that supported local workers from a local mill. Orchard Knob was the site of a key moment in the Battle of Chattanooga. In addition to its national park, Orchard Knob Reservation, it is home to large employers like EPB, several churches, and 350 houses. From the neighborhood’s hills are some of the best views of the city. Anyone! This project is for folks living in Chattanooga or for those that always wanted to explore the neighborhood. Nope. You can explore these Chattanooga neighborhoods at your own pace and still participate. 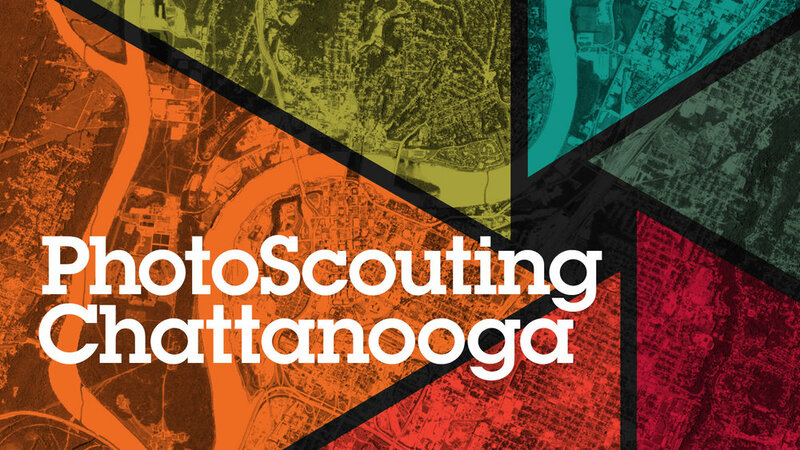 Upload your photos with this form, email to photo@chattanoogastudio.com, or text to 423.680.6308. Rights remain with photographer. By submitting photos, we and the neighborhood association for each area have permission for publication on a website, in the printed edition and social media. We’ll make an online gallery to share with the community and photobooks will be available. PhotoScouting was originally made possible by a Haile Fellowship from People's Liberty in Cincinnati, which provided a year-long civic sabbatical to research, plan and implement a big idea to change their community’s future.